Piriformis pain is usually diagnosed as piriformis syndrome and describes symptoms that occur due to sciatic nerve compression. The piriformis is a small, powerful muscle that resides in the deep buttocks/hip region. It has been drawn into the spotlight in the last 20 years as a leading diagnostic scapegoat for sciatica symptoms that are not sourced by lumbar spinal pathologies. We have been actively involved in piriformis syndrome research since the inception of The Cure Back Pain Network and have helped many suffering patients to end their agony due to spasming piriformis tissues. The diagnosis of piriformis syndrome is a growing phenomenon, with more cases identified as sources of pain each year. The condition has been adopted as an area of practice focus for some physicians, many chiropractors and even some physical therapists. While the diagnostic rate rises, the evidence cited in support of the diagnosis often becomes ever-more confusing to patients and objective observers alike. This discussion centers on clarifying the facts of piriformis syndrome and dispelling the many myths of the condition. We will examine the structural sciatic nerve-through-muscle causation theory, as well as other instigators of piriformis syndrome. Finally, we will provide a look at the expected symptomology and the best ways to treat the condition. Some people (about 20% of the population) demonstrate a structural abnormality in which the sciatic nerve traverses through the piriformis muscle, rather than beneath it, as is typical. In essence, the nerve goes through the muscle fibers and is contained within the substance of the muscular tissue. Statistically, people who demonstrate this anatomical irregularity have a higher susceptibility to piriformis syndrome, but simply demonstrating the abnormality is not pathological unto itself and does not in any way guarantee symptoms. In fact, most people who demonstrate this abnormality will never suffer piriformis pain. Regardless of whether the nerve travels through the muscle or not, the piriformis can spasm and compress the sciatic nerve. Muscle spasms can be very powerful and can create tremendous force on the nerve, enacting symptoms. Spasm can be caused by localized injury, rare cases of muscular imbalance, neuromuscular disease or regional ischemia. Piriformis Pain Symptoms or Sciatica? Sciatica and piriformis syndrome might express identical or virtually identical symptoms. Similarly, piriformis syndrome is a type of pseudo-sciatica and will express similar or identical symptoms to some other varieties of pseudo-sciatica. 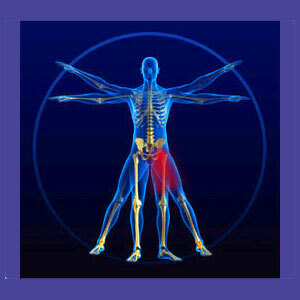 It is impossible to determine if the piriformis is the cause of sciatica symptoms from the patent’s expression alone. However, it may be possible to rule out piriformis syndrome as the cause of symptoms if certain expressions are present in the patient’s complaint, such as symptoms that also exist above the level of formation of the sciatic nerve. 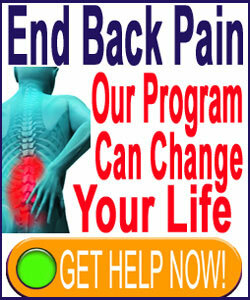 Remember that true sciatica and pseudo-sciatica are never diagnoses. They are merely symptom sets of some causative process. Piriformis syndrome is one of these possible processes, but there are many, many other possibilities, which is why sciatica is one of the most difficult to diagnose and treat chronic pain problems for so many patients. We cover the subject of piriformis syndrome in complete detail on our related web property Piriformis-Pain.Com. If you want to learn all about this hotly debated diagnosis and cure piriformis pain for good, then this is the site you must read. In order to cure piriformis pain, it must first be accurately diagnosed. This is why we recommend seeking consultation with a spinal neurologist as a primary caregiver to narrow down the possible origins of pain to the most logical source process. Once the piriformis is identified as the culprit for pain, then the reason for symptom-generation must be ascertained. This will typically involve various types of testing to evaluate the anatomy of the nerve in relation to the piriformis muscle and the presence of spasms in the muscular tissue. Depending on the exact cause of onset, the patient might be treated with physical therapy, injections using substances such as Botox or prolotherapy, oral pharmacological therapy, massage, exercise therapy or even surgery in very rare cases. However, since the possibility for mindbody ischemic causation of symptoms is so common, knowledge therapy should always be considered ahead of these medical practices, since there are no risks and the effectiveness is very high for appropriately indicated conditions.